This review is long overdue. I’ve had this book since it launched earlier this year but it’s so unbelievably comprehensive that it’s taken me this long to writing up my thoughts. Katie and Giancarlo are a wonderful couple. They told me it took a long time to write this book. It’s a book about preserving after all so it took a lot of patience. Patience was the advice Giancarlo gave me about using this book and I see that now I’ve used it so many times. It takes patience for the right result. Patience to wait til crop is just right for preserving. That’s why the title is the ‘Gentle Art of Preserving’. There is an air of calm about the book and the writing. 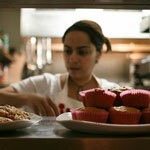 It’s very personal with recipes from family and friends all over the world. “Preserving is a science but not an exact science” says Katie and this is perhaps one of the main reasons I have not been very good at it. I’ve dabbled in jam making but flake tests and freezer tests don’t work for me. I need the temperature and the timing particularly for dishes I don’t instinctively know. But the introduction in this book gave me a lot of confidence and understanding the four spoilers – enzymes, moulds, yeasts and bacteria – so I’m more mindful of each when preserving. In addition to that there’s a neat little microwave sterilising trick which has helped enormously with my patience! The recipes start with Vinegar. I nearly skipped these because I’m not a fan of pickles or western style chutneys but in this section I found Chrayne which is a Jewish preserve using vinegar, beetroots and horseradish. My beets are ready but I am waiting impatiently for the horseradish to shoot. 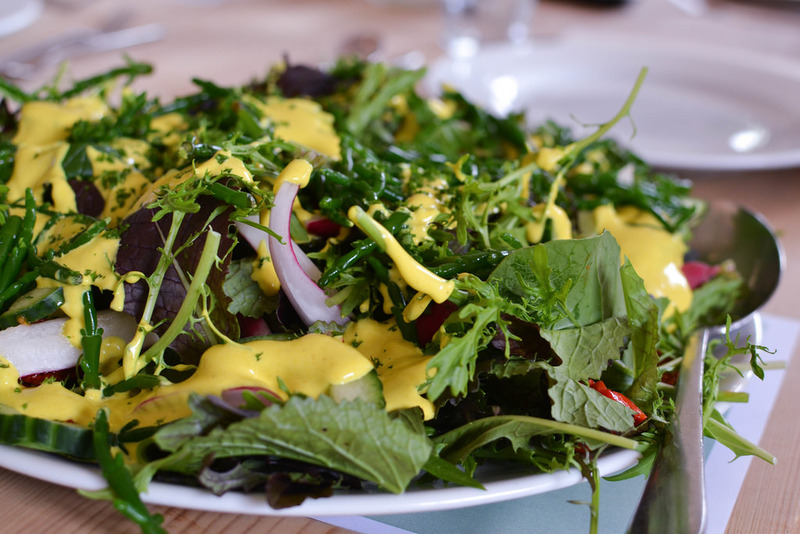 I also found Piccalilli which I blitzed up into a salad dressing as I’d eaten at Riverford last year. The book then moves on to sugar with some delicious combinations for compotes, jams, conserves and marmalades with clear explanations of the differences. I found the section on jellies the most helpful as I’ve not had much success with these in the past. I got lucky with an apple ‘fireside jelly’ from Diana Henry’s Salt, Sugar, Smoke book but have ended up with slurpy or cloudy concoctions since. I found the step by step in this book very helpful. There is also a great section on candying and I’m aching to try Stem Ginger when I have a bit more room in the cupboard. The salt chapter has much meat in it so I’ll skip that here except to say there is a great looking recipe for Preserved Kumquats for those of you who are fans of Preserved Lemons. 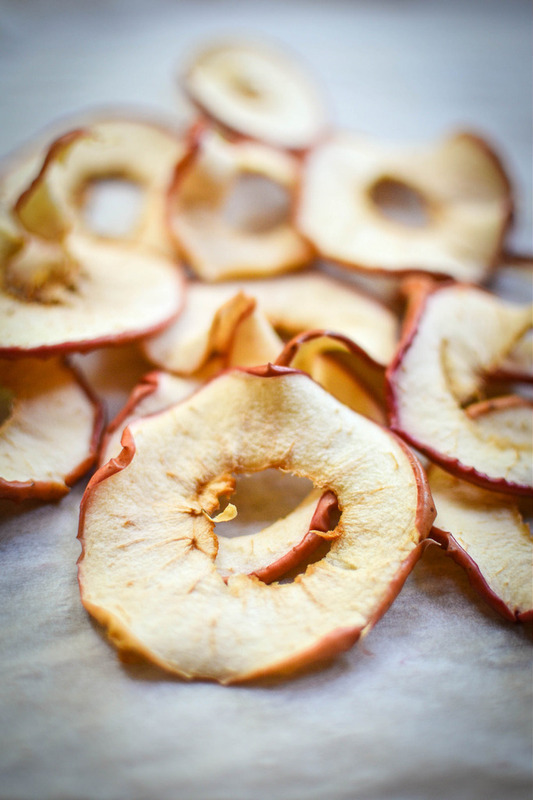 The next part was all about using air or dehydrating foods. I have lots of post it notes in this one and am envious of the sun drying technique those in the warmer climates of Italy must benefit from. Impossible here in London but it brought memories of my grandmother making poppadums and leaving them to dry in the scorching Indian sun. I hate waste so I’m quite good at using food up, freezing excess or just reusing food for a different dish but this book has given me even more ideas. I’ve started to look at almost every food nowadays to see how I can preserve it. Last week I was snacking on clementines and just as I was about to throw the peel away I remembered a little paragraph about making Citrus Powder so I popped it all in the oven and three hours later had some magic dust for sprinkling on porridge, chocolate tarts and loaf cakes. And then of course oil. Possibly my favourite. I’ve made Feta with Charmoulla so many times now and my mother’s recipe for Garlic and Chilli Paste which both use oil to preserve but confit is something I’ve not dabbled with. This book sets out some nice background on the process and so I was able to use this to make Confit Garlic even though there isn’t a recipe for this. I’ll share what I did in a future post. So that’s as far as I’ve got in the book in all these months. I am saving the alcohol chapter for Christmas gift inspiration though with the gift of damsons from last week’s allotment visit I may have to make the Damson Wine tomorrow. The fermenting chapter is one I need another long holiday to look through because I really want to try Kombucha after tasting this for the first time via an American friend. This book is a must buy at this time of year to make the most of the fruit and vegetable gluts. It’s one of the most used books in my kitchen and I find something new every time I flick through it. Congratulations Katie and Giancarlo. A wonderful achievement. This sounds like a fabulous all round book on preserving, I’m particularly curious about the fruit leather as I’ve never made this before but read so much about it! Citrus powder sounds intriguing… but then the whole book sounds like it would be a good read and a really useful addition to the kitchen bookshelf. I am loving the citrus powder. Using it on porridge, on chocolate tarts, sprinkling on soups, mixing with edible glitter on biscuits. Genius idea from this book! It’s perfect for Xmas gifting! The citrus powder with some edible glitter would be fab! This sounds like a very comprehensive book with lots of useful ideas. I’m looking forward to seeing your confit garlic post now as the picture looks lovely. Thank you for such a fabulous insight into this book, sounds like a must have book and what caught my eye was turning peels into powders how amazing. Love the mango leather too. Another book to add to my wishlist. I loved that idea too and the mango leather works really doesn’t last long in our house! I can imagine, have you tried the mango leathers you get in Indian stores? Straight on the wish list. I went to a demo by Giancarlo at the cookery school. What a delightful man.  So many great ideas here…. 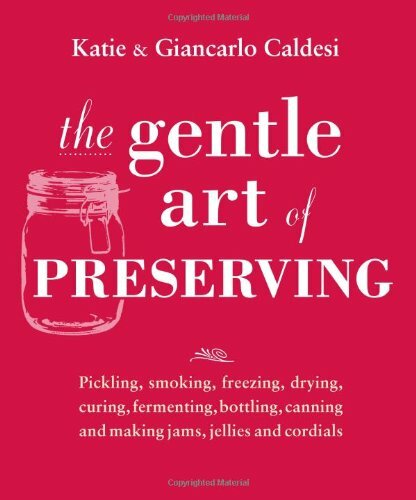 Sounds like a very good book and I love the sheer variety of what you’ve been preserving, in terms of ingredients and style of preserving! I still need to try canning. Maybe next year when I have a few more tomatoes! Oh wow Urvashi. This looks brilliant. 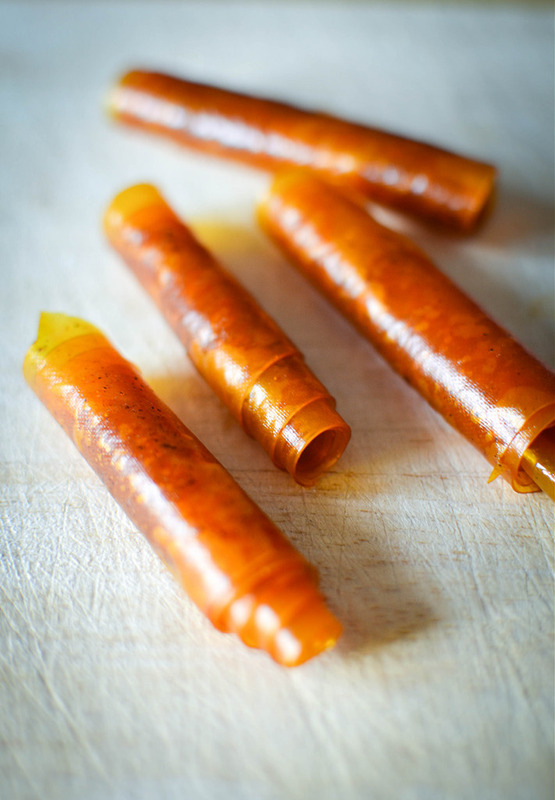 Your mango fruit leathers look perfect. I love making jam and chutney but I also rely on my thermometer. 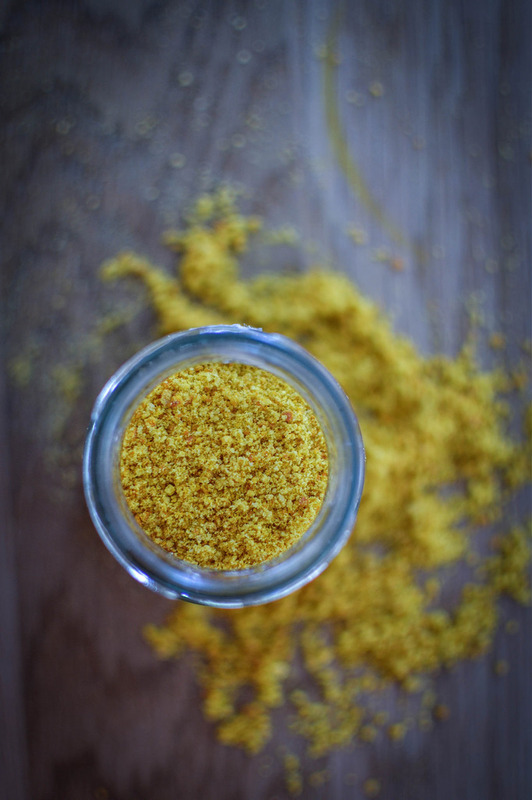 I would love to try to make citrus powder too. Sounds great! Thank you. You will love the citrus powder I’m sure. Very versatile.